Forum Thermomix - The best community for Thermomix Recipes - Wow, another use for Sour Dough Starter. Wow, another use for Sour Dough Starter. Replace Egg and Breadcrumbs with Sour Dough Starter. 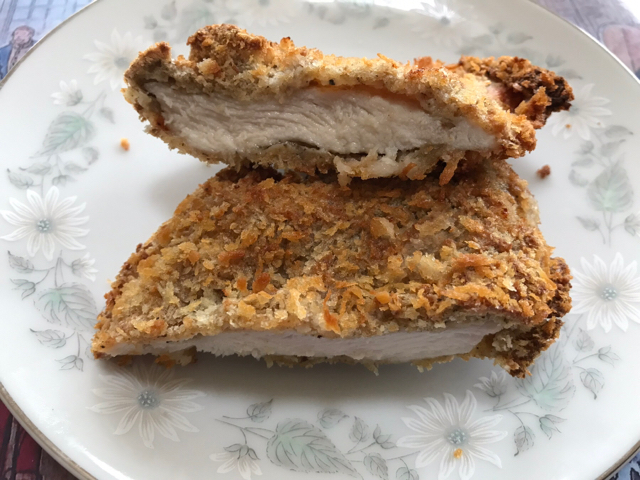 I have been using RTE method for ‘ breading ‘ food such as schnitzel. This is egg, flour and milk combined and the food then coated in breadcrumbs. Today I mixed KFC spice mix, ( posted), with Sour Dough Starter and used this to coat sliced Chicken breasts, I then dipped them in Panko crumbs. I cooked these in a shallow amount of Ricebran oil. The joy of this is no egg and no milk, for those who have an intolerance to either or one of these. I cannot tell any difference. Of course, you don’t have to add the KFC but could add salt and pepper. I will try spraying with oil and baking in AF. Re: Wow, another use for Sour Dough Starter. AF works. Spray schnitzel with oil. Heat AF 3 minutes. 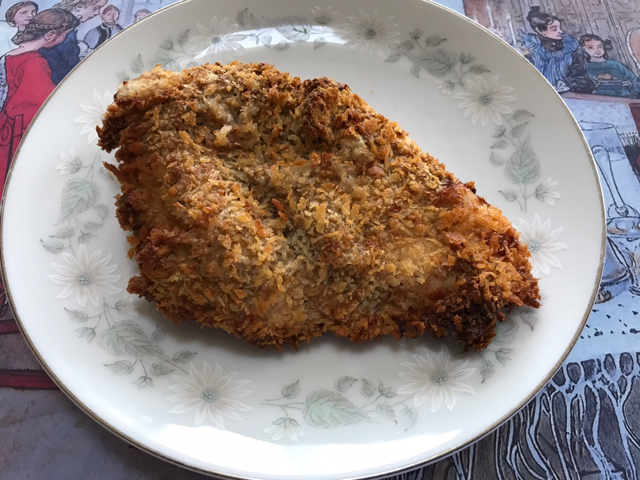 Place schnitzel on wire, bake at 180 for 8 minutes, turn, bake for 3 to 5 minutes. What a great idea. I can't wait to use it. I used some starter the other day to make some cracker biscuits. They were consumed before I had even thought to take a photo. This time I added some Italian herbs and garlic salt into the mix. Those crackers look good. David Jones in Melbourne sell sheet of them in packets. Very expensive. Cookie, I thought of you with the air fried KFC. Great idea Chookie, I must try that. Today I had a good clean out out my spice drawers, so much stuff well out of date that I had to get rid of including a few tablespoons of your KFC spice mix. I would have kept it to use as you have today if you had posted the recipe yesterday LOL. I have other chicken spice mixes I can use though. No time to cook meals for myself at the moment as I am doing my spring cleaning ready for the window cleaner on Tuesday and trading table goodies in between that. CC, I did give it a good spray with Rice Bran oil but probably not as much as the shallow fried version. Judy, a lot of my spices are out of date but as they only lose their pungency and don’t go off I just increase the amount used. Good idea Chookie but some of mine were many years out of date. Judy, the last of the KFC was 4 years old and still good. Too late she cried! Darn it. Don’t cry, you will know for next time. Also buy whole spices as the ground ones have a filler to stop them clumping together.